A frequently used “Home Staging Tip” when it comes time to sell your home. The definition of de-clutter is to remove unnecessary items from (an untidy or overcrowded place). I’m not sure everyone understands what a sensitive situation that can be for some homeowners, as well as the stagers called in to make the property appealing for the real estate market. 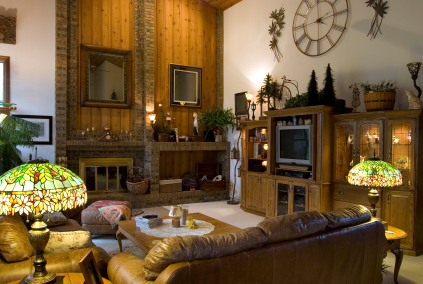 What may look like clutter to an outsider may not feel like clutter at all to the homeowner. Surrounding oneself with familiar items that conjure up fond memories is very comforting to many a person. However, when preparing to put your home on the market this is not the look you want to sell your home. After one of my Home Staging Consultations, I began the Hands-on-Staging service of physically removing and rearranging items in the home. This process can be very emotional for some homeowners, as was the case for this particular seller. First of all, she was selling the family home she had bought many years ago with her husband and where they raised their family, which in itself can be a sentimental factor for some sellers. This is a fairly common scenario in real estate as once the occupants become empty-nesters and the maintenance and size of a larger home is no longer needed, many people prefer to downsize to a smaller home. However, making for a second set of emotions for this particular seller was the fact that her husband had recently passed, so she also had memories of her husband attached to the home and along with many of the items we needed to remove. Being respectful of these types of situations and the emotional attachments involved, I always ask if I may touch or remove something from display. The homeowner may need just a minute or two to reflect, gather their thoughts before they can move forward, as their ultimate goal is to sell the home. There are times when some items are off-limits and I will work around those items the best I can. Letting the homeowner know that I understand how emotional this task is for them is important to me. They have a memory of each and every article they touch. This is the same scenario of what happens to certain individuals when organizing and understanding is key to helping them progress. This particular homeowner looked at me in amazement and appreciation and said “you know I never realized that until today”. 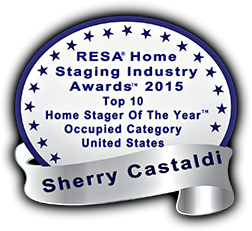 When we finished, she hugged me and thanked me for helping her accomplish the goal of staging her home. So when telling someone to “de-clutter” their home, understand that it may be a little harder for some individuals than others and they just may require a little more time, patience and understanding to achieve the desired results of a well-staged home.